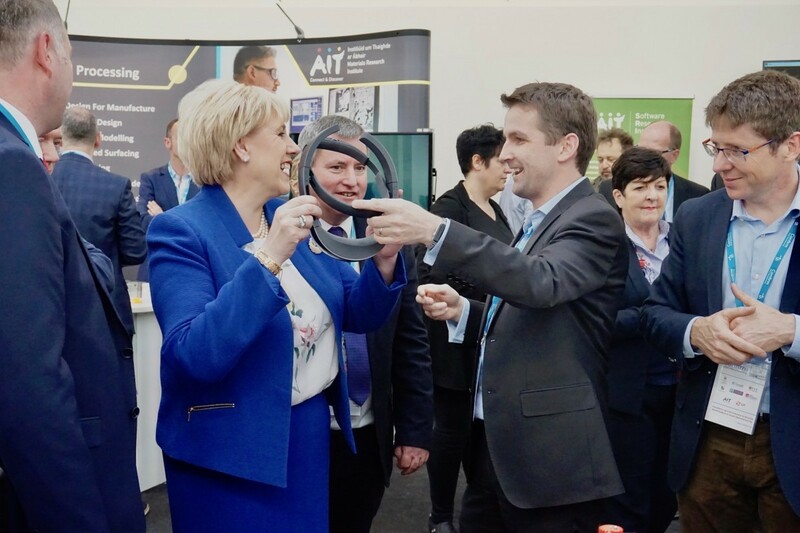 UNIVERSITY OF LIMERICK, IRELAND: The Minister for Business, Enterprise and Innovation Heather Humphreys TD today launched the CONFIRM Centre at University of Limerick, a ‘smart manufacturing’ research institute that is part of Science Foundation Ireland’s (SFI) Research Centres programme. The CONFIRM Centre is funded to a value of €47 million, making it one of the largest new R&D centres in the country. The manufacturing sector is the second largest employer in Ireland and accounts for 24 per cent of total economic output – €110 billion in exports. Minister Heather Humphreys TD launched the Centre HQ at Park Point, University of Limerick. The Park Point site, close to the main UL campus has been empty for some time and the University is investing in its rejuvenation over the coming years. 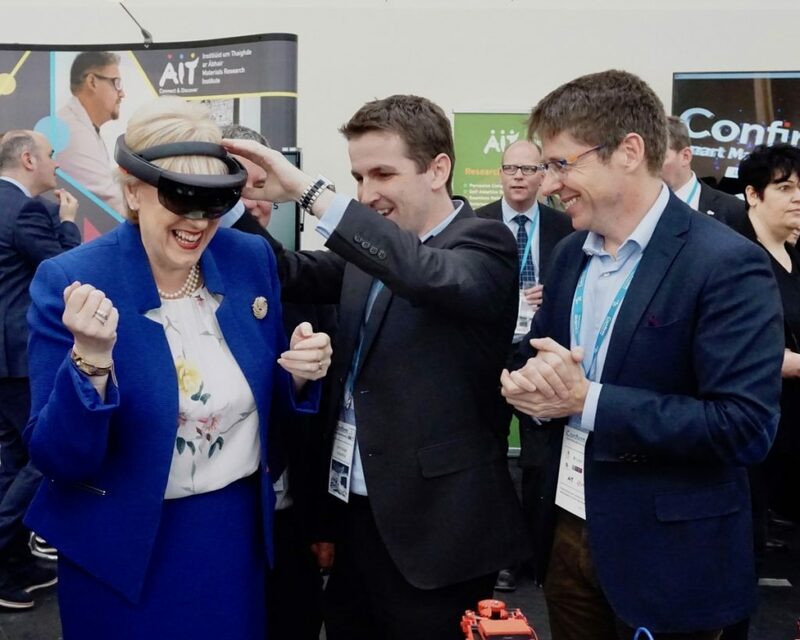 UL is the lead partner in a consortium of CONFIRM research hubs that includes the Tyndall National Institute, University College Cork, Cork Institute of Technology, NUI Galway, Athlone Institute of Technology, Maynooth University and Limerick Institute of Technology. The Centre will comprise over 200 researchers in smart manufacturing, including 91 new appointments. The CONFIRM Centre is supported by 42 Industry partners including Johnson & Johnson, Analog Devices International and UTRC. 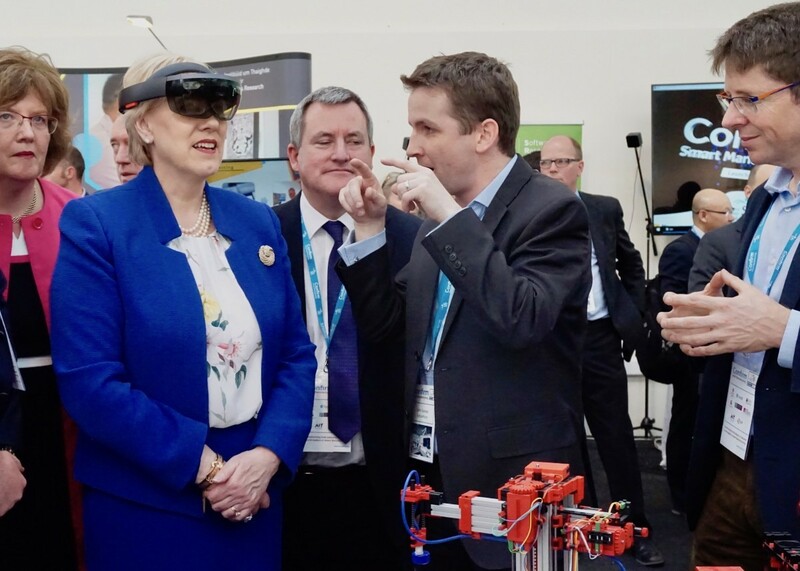 The Science Foundation Ireland research centre, CONFIRM, aims to transform Ireland’s manufacturing industry to become a world-leader in smart manufacturing. 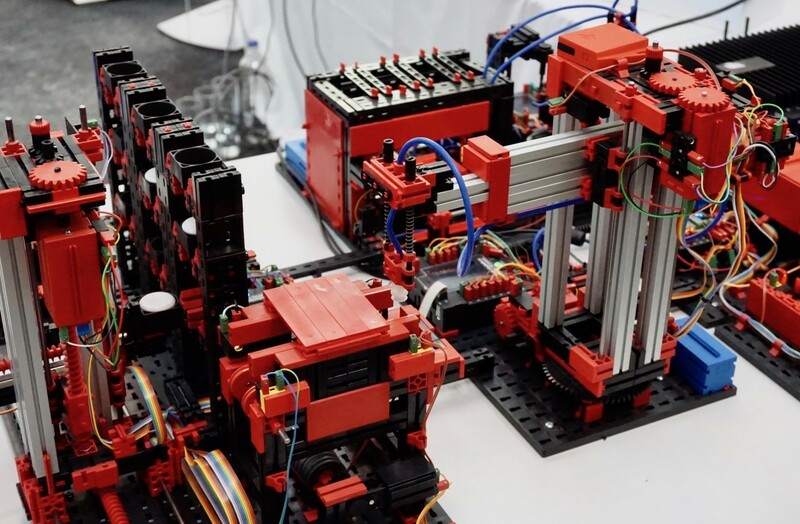 Smart manufacturing seeks to add intelligence to our production systems, creating the factories of the future, where products can be fully customised and adaptable, decisions made in real-time, supply-chains shortened and new innovations realised. 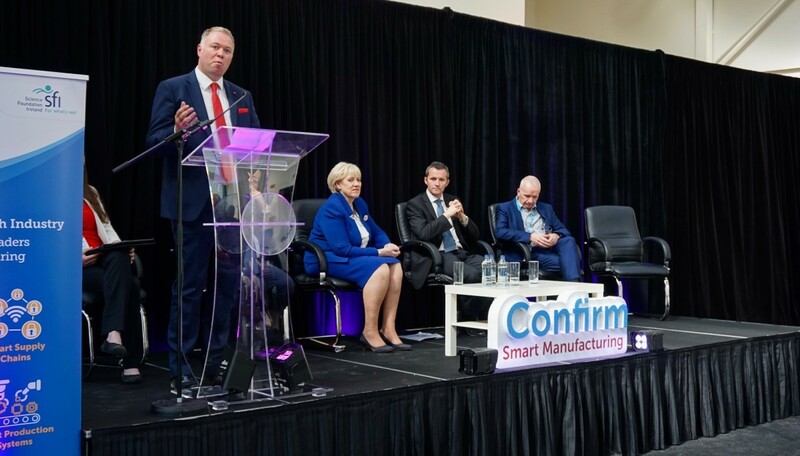 CONFIRM will deliver the technological advances and expertise for a smart manufacturing innovation ecosystem, enabling companies to compete within the rapidly changing global landscape, and boosting Ireland’s reputation as a leading international manufacturing location. Originally from Glasnevin in Dublin, Professor Conor McCarthy has spent the last 20 years in the Mid-west region carrying out research into joining dissimilar materials for high-end industrial applications. 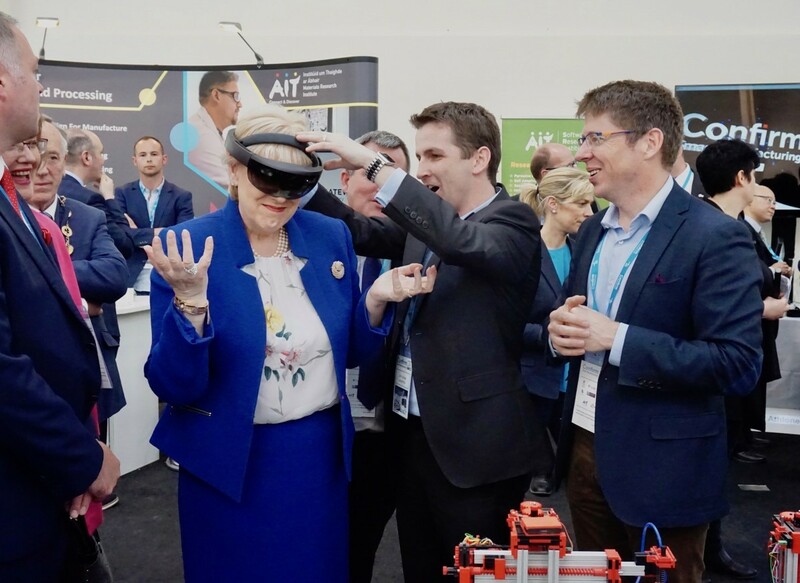 Now residing in the lakeside town of Ballina, Co Tipperary, Professor McCarthy is the Centre Director for CONFIRM – Smart manufacturing, a new major national SFI research centre focused on Smart manufacturing technologies. As an Associate Professor of Aeronautical Engineering at the University of Limerick, Professor McCarthy also leads a research group developing novel methods to join high performance composite materials to other lightweight materials. This produces structures with superior strength and stiffness properties, weighing only a fraction of typical steel or aluminium structures. This work has attracted over €6 million in competitively won research funding from Europe, Irish research funding agencies and both national and international industries. His research has led to over 150 high impact publications and a patent pending on a new smart glue that can be “unzipped” using only high frequency radio waves for a range of applications from automotive assembly to dental implants. University of Limerick is an independent, internationally focused university with more than 14,000 students and 1400 staff. It is a young, energetic and enterprising university with a proud record of innovation in education and excellence in research and scholarship. More information is available at www.UL.ie.